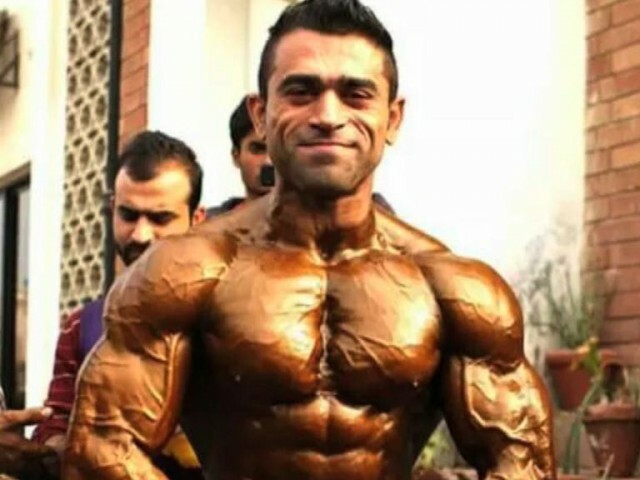 Humayun Khurram, a Pakistani bodybuilder who won gold medal in the South Asian Bodybuilding Championship, passed away in Lahore in mysterious circumstances. Two prominent Pakistani bodybuilders have died over past 15 days. According to family members of Khurram, he died when apparently his food trachea broke while having meal. However, while commenting on the athlete’s tragic death, a sport medical specialist said steroid usage might have caused the death, use of steroids by bodybuilders results in heart enlargement and high blood pressure, ultimately leading to a sudden cardiac arrest. The Lahore-based Humayun Khurram, who had won titles of Mr Lahore, Mr Punjab and Mr Pakistan, recently secured a gold medal in the South Asian Bodybuilding Championship 2016. His death came just two weeks after another prominent bodybuilder Hamid Ali, nicknamed Gujju, passed away in Lahore in similar circumstances. Gujju, who wanted to become Mr Pakistan, died on April 3, died just a few days after featuring in South Asian contest where he claim bronze medal. Gujju was ex-Mr Punjab. Media reports said the cause of his death was a cardiac arrest.